Victor LaValle is the author, most recently, of the novel Big Machine and a recipient of a 2010 Guggenheim Fellowship. Ours is an age of the unexpected, the extraordinary—the uncanny. 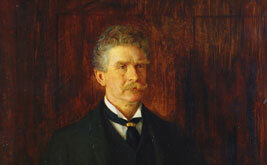 What better time to resurrect the stories of Ambrose Bierce?